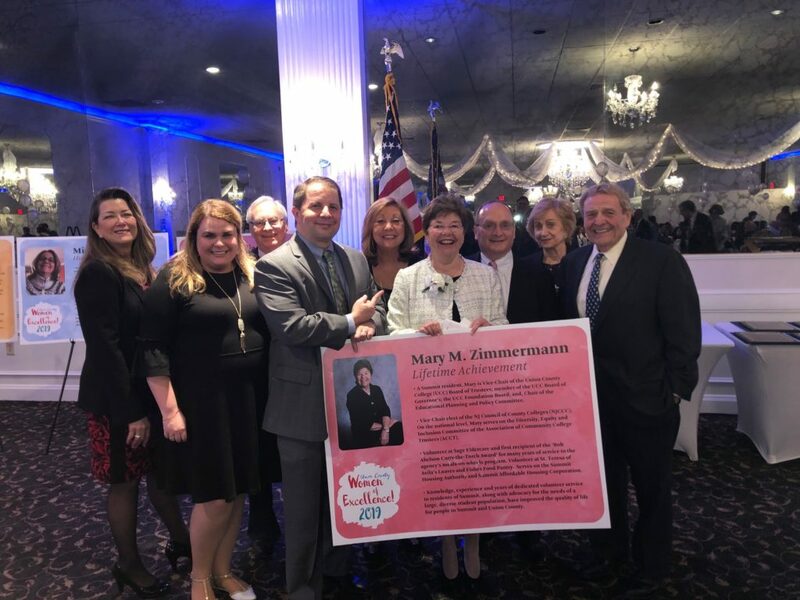 CRANFORD – On March 29, 2019, Mary M. Zimmermann, of Summit, received the 2019 Women of Excellence Lifetime Achievement Award. Mrs. Zimmermann, a Union class of 2001 alumna and Vice Chair of the College’s Board of Trustees, was honored at the annual Women of Excellence Gala Awards Dinner held at the Gran Centurions in Clark, New Jersey. The Women of Excellence awards are sponsored by the Union County Board of Chosen Freeholders and the Union County Commission on the Status of Women, with the Union County Office on Women. Mrs. Zimmermann was given this award for her outstanding contributions to the Union County community. She has been a steadfast advocate for the needs of Union students and the College. For more than a decade, she has been a member of the College’s Board of Trustees and is also a member of the College’s Board of Governors. 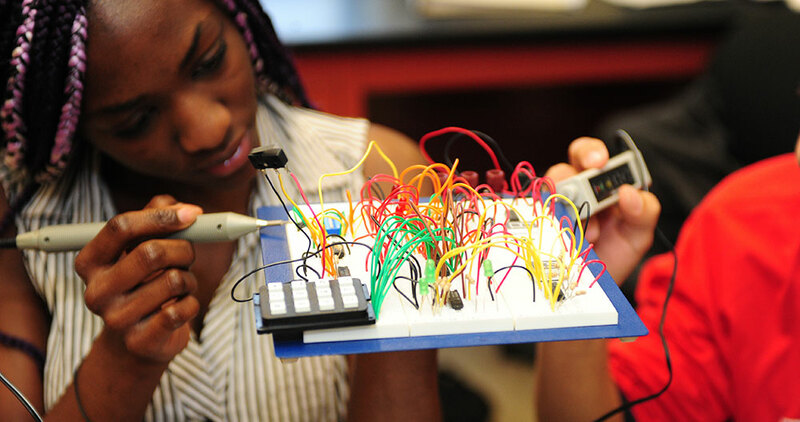 She is also a member of the Union County College Foundation Board and previously served as Chair. Mrs. Zimmermann represents the College at the state level as the Vice Chair of the New Jersey Council of County Colleges (NJCCC) and is the Board’s liaison to NJCCC. At the national level, she serves on the Diversity, Equity, and Inclusion Committee of the Association of Community College Trustees (ACCT) and regularly represents the College at ACCT events. Mrs. Zimmermann is a self-described professional volunteer. She has been an active member of SAGE Eldercare’s “Meal on Wheels” program and the “Loaves and Fishes” Food Pantry at St. Teresa of Avila Church. She is one of five commissioners for the Summit Housing Authority, which assists with affordable housing for low income residents of Summit. She also finds time to assist the United Way of Summit. She works tirelessly to improve the lives of Union County residents. Union’s Director of Communications Center Phyllis Mirabella, Union’s Board of Governors Vice Chair Lawrence D. Bashe, Union’s Vice President of Financial Affairs & Treasurer Lynne A. Welch, Mr. Zimmermann, and Union’s Vice President for Academic Affairs Dr. Maris Lown. Front Row: Union’s Secretary of the Boards and Director of College Relations Dr. Jaime Segal, Union County College Foundation Executive Director Douglas Rouse, Mrs. Zimmermann, and Union’s Board of Trustees Chair Victor M. Richel.